KEYCOM offers wide variety of test and measurement systems for such performance testing of the millimeter wave and microwave radars of a mass-production as transmission power, frequency, antenna beam alignment, distance accuracy, angular accuracy, and receiving performance. verify the radar measurement accuracy of the distance and speed indoors. changing distance between cars, changing lanes or multiple target tracking. 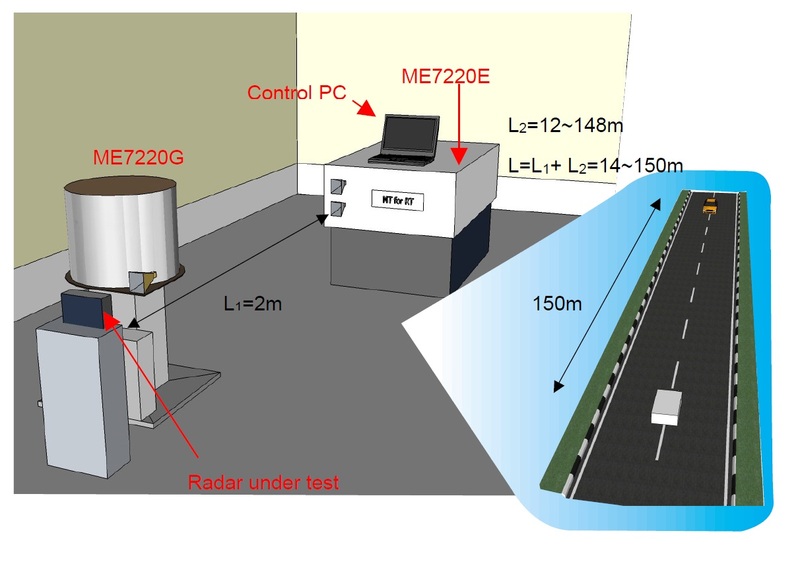 ME7220E/G is a collision avoidance radar test simulator that simulates the physical correlation between the radar under test and the car in front, prior to a collision. It allows you to test the tracking capability of the radar indoors easily and effectively, and exercises its capabilities for your pre-crash braking system development as well. With an optional function, it automatically activates the ME7220G, the passive moving target, when the simulated distance between the radar and the target is less than 12m, while the active moving target ME7220E is active when the distance is more than 12m. 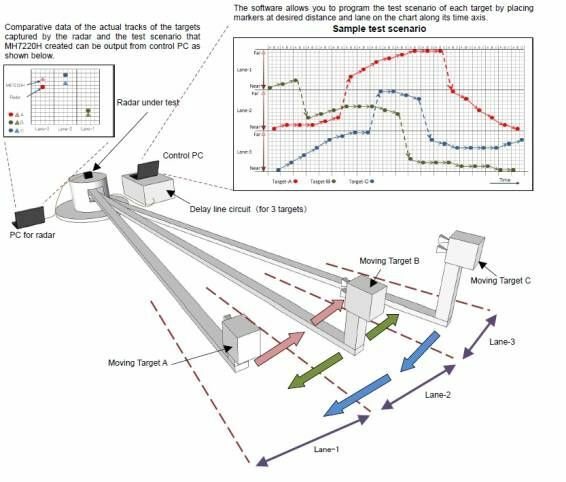 enabling you to verify the performance of your radar control system under realistic conditions. delay time and less insertion loss than a metal waveguide. its delay line to put its transmission in TEM mode. Available for 79GHZ, 76.5GHZ, and 24GHz. 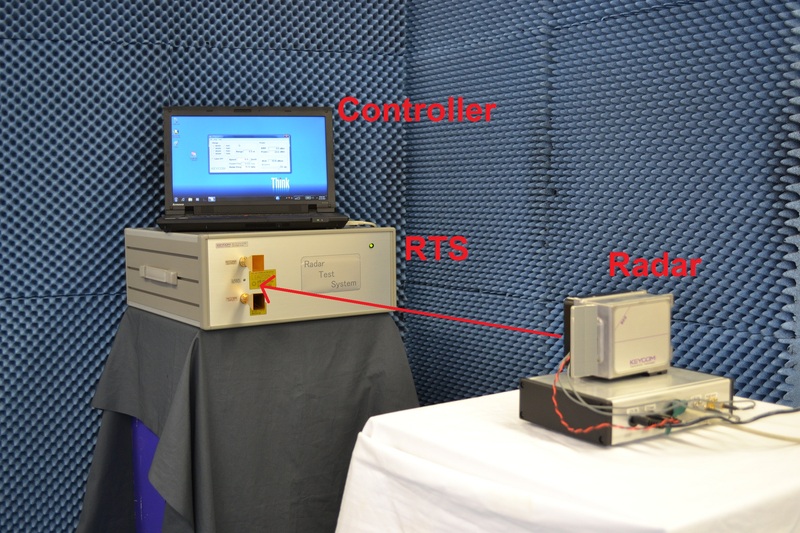 An evaluation (measurement) system for impulse radars operating at 24 GHz or 76 GHz. There are radars which warn the driver of the close proximity of cars when driving fast or changing lanes. Radars used in such situations emit exceedingly weak electromagnetic waves over a wide space. It measures RCS heading to targets while moving. It moves several times changing the height of radar for RCS, and heading to targets and it measures it. The multipass of the road and the run way can be greatly removed by this. In addition, it is possible to compute the RCS for each part of the system or for the entire system by performing synthesis considering the phase of the reflected waves.